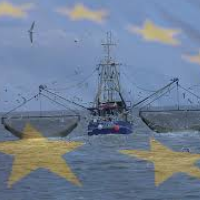 The European Maritime and Fisheries Fund (EMFF) which will be published in summer 2015. People who want to apply for funding are asked by the Marine Managament Organisation to look out for details on the European Maritime and Fisheries Fund (EMFF) which will be published in summer 2015. The scheme will be set to open in autumn 2015. The fund, which is the successor to the European Fisheries Fund, is currently in development. The Department for Environment, Food and Rural Affairs (Defra) are in the process of progressing the Operational Programme which sets out the strategy for funding in agreement with the European Commission. The MMO are leading on the development of the procedures, applicant forms and guidance notes to help applicants apply to the EMFF scheme. The EMFF scheme has a broader range of measures than previous schemes and has a greater focus than before on measures which can support the management and protection of the marine environment. In particular, support will focus on the implementation of the reformed Common Fisheries Policy including the Landing Obligation (the “discard ban”). Funding will also be made available for aquaculture, fishing ports, fish processors, and Fisheries Local Action Groups (FLAGs).